Get 6 packs (TB02) from the store, build a deck with the cards you open, and play! Everyone who joins the tournament gets a Participation prize. *Players can’t use any cards they already own, and are advised to get packs from the store on the day of the tournament. 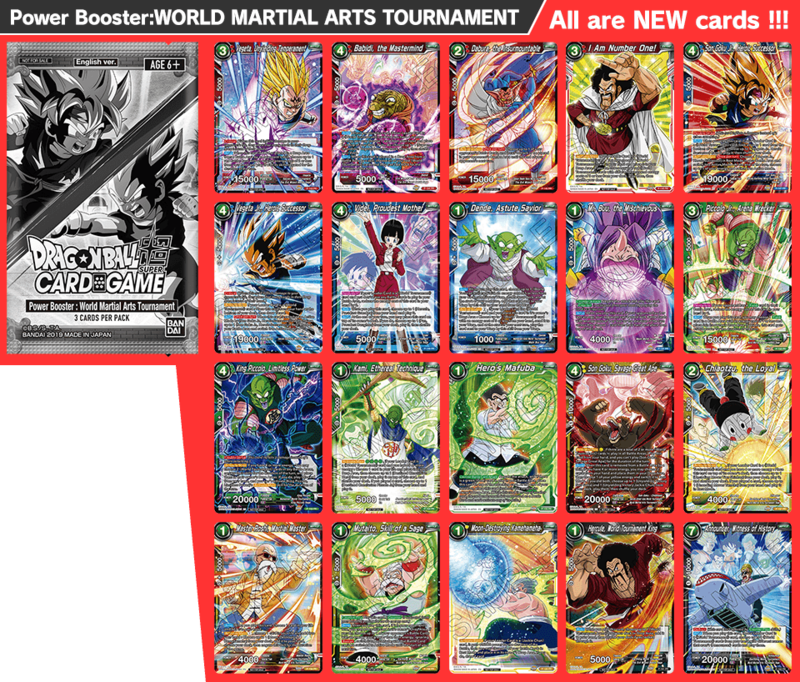 *Power Booster: WORLD MARTIAL ARTS TOURNAMENT can be used at this tournament.